Thank you for your prompt reaction in regards to the Michael Forever Tribute. We realize that unlike fans who react with raw emotion, the Estate executors approach matters with composed diplomacy and that there is a legal chain of actions to be followed. The Fan Community is in total agreement with every concern outlined in the letter from the Estate to the Michael Forever Tribute organizers. And whilst we are confident that the Estate will follow through and take the necessary legal actions in the event that the organizers aren’t compliant, we would like to communicate with you our sentiments in regard to some disconcerting issues relevant to the Michael Forever tribute. the Conrad Murray trial. It is exceedingly insensitive, tasteless and improper. Caliber of artists: We feel that Michael Forever Tribute isn’t a tribute to honor Michael Jackson. It is merely a concert of various artists but the organizers exploit Michael Jackson’s name to garner interest in the event. The participating artists aren’t selected carefully based on the special connection they may have to Mr. Jackson. Rather, Global Live Events extends invitations to any artist who may agree to participate. They are scraping the bottom of the barrel. We feel that the haphazard and sloppy organization so far will not produce a fitting tribute. We would like the official Tribute to come in due time, preferably organized by Michael’s children and sanctioned by his Estate. 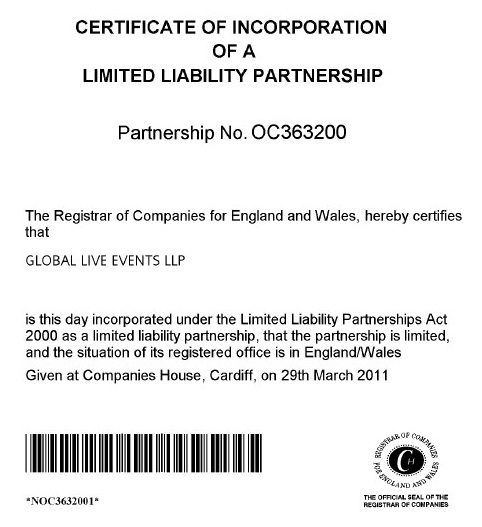 Aptitude of Global Live Events: The Company was formed on March 29, 2011. As evidenced by their incompetency so far, we feel that the inexperienced organizers will fall short in organizing a deserving tribute to Michael Jackson. Paul Ring who is dubbed as "Global Live Events Executive" is also Latoya's employee. This screams conflict of interest. Latoya appears to be the force behind this exploitation of Michael & his children under the guise of a "tribute". Questionable ticketing: We don't get a sense that this tribute is for L.O.V.E. the tribute is for a charitable cause. Then why aren’t they donating part of their profits to charities? We don’t even know where the proceedings are going. Ticketing policy: The organizer declared “If %50 or more of the contracted artists ATTEND OR PERFORM, the concert will take place and NO refunds will be offered”. We believe that the %50 is covered by the Jacksons' appearances and that the announced artists may attend but not necessarily perform. Attending public should receive exactly what the organizers advertised, they shouldn't be short-changed or duped. The promoter aims to cheat the public with fine print. Doing so in Michael's name dishonors Michael's good name & memory. Gene Simmons: Global Live Events invited someone who not only made public disparaging remarks about Michael but also his children. We feel that the organizer should have been more diligent in carefully selecting artists. We can forgive Mrs. Jackson; due to her age, perhaps she didn’t know who Kiss is or about Gene Simmons remarks but it's hard to believe that Jackson siblings didn’t know about it. We feel that they proceeded despite of the knowledge. deaf ears. Promoter deleted our comments from its facebook and tweeted a promotional video nonchalantly. It took a letter from the Estate for them to address this issue. They shut out the very people they are trying to sell tickets to. Whom Global Live Events heard was NOT “Michael’s fans” but a potential lawsuit and the possibility of the Estate Executers throwing a monkey wrench into their event. We are also displeased by their absurd remark that Michael admired Kiss. That is a completely inaccurate nonsense. We do NOT feel right about Global Live Events, we do not trust them, we do not wish to do business with them. 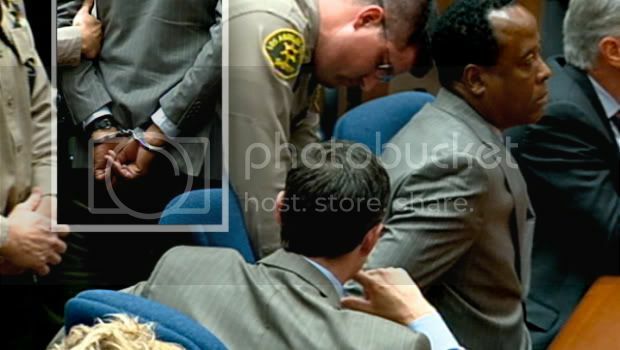 Recent headlines dragged Mr. Jackson’s name in mud so close to the jury selection to the Conrad Murray trial. We feel this may have tainted the potential jury pool. We do not feel that dropping Kiss suffices. The damage is already done. We didn't sense any genuine regret from the statement by Global Live Events. WE DO NOT ACCEPT THEIR APOLOGY! Most of the attendees are fans of participating artists. Michael Jackson fans are troubled that his name is used to sell this concert. If they desire to proceed, then they should just market it as a concert event without involving MJ's name into it. With the upcoming criminal trial, fans would like to focus only on the trial. We find it near impossible to do so because of constant debacles related to this tribute. It’s Michael Forever Tribute. His mother, siblings and children are involved. The use of Michael Jackson image and likeness is bound to happen. We cordially request that the Estate commence the necessary steps to acertain that this Tribute either doesn’t happen or it doesn’t happen as a Michael Jackson tribute. We hope that you will attend this matter in a timely manner so that the storm in our community may pass & we may focus on the upcoming Conrad Murray trial. We, as Michael Jackson's staunch supporters, refuse to support the Michael Forever Tribute, planned by Global Live Events in October, 2011. Even after the removal of Kiss, we feel that the damage is already done. This colossal mistake could have been avoided, had you exerted the diligence required to organize a befitting tribute. You have proven that you will book just any artist who affirms your invitation. This monumental mistake cannot be forgiven, given the magnitude of the damage it caused so close to the criminal trial. Your apology is too little too late and it does not solve the problems we have with this tribute in general. in regards to our very valid concerns, have we not? 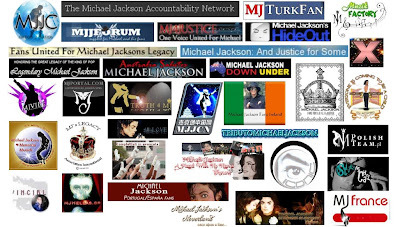 Instead of acknowledging, hearing and working together with us, you have deleted “selected” comments from your facebook page, forcing us to form our own facebook Group: Fans Against Michael Forever Tribute. It shouldn't have come to this. Any company who conducts business in Michael Jackson's name should better know that Michael and his fans have cherished a close-knit relationship where we were always heard and communicated with. We refuse to be treated this way by you! You only addressed the Gene Simmons issue after the Estate's letter. Therefore, the contention that you "listened to Michael's fans" is empty words uttered to save face in the media. Global Live Events rescinded their offer to Kiss only to qualm the media and the Estate. Simply put, the Kiss cancellation is merely a product of the negative media coverage which stood to affect ticket sales and your profit. It was not done out of respect to Michael Jackson. You've no respect for Michael. the donations, obscurity over who is pocketing the profits, no-guarantee policy of performers.....the issues with this tribute keep piling up, thus, breaking our focus away from the criminal trial. We find this very upsetting. The addition of Gene Simmons, thus, tarnishing Michael Jackson's name was simply the last straw for us. With the damage you caused, it will be us fans having to fix your mistake. This tribute is doomed to fail. Michael Jackson Estate have communicated with you some of their concerns and for quite sometime now, we the Michael Jackson fanbase has done the same. Let’s not prolong an unpleasant bad situation. Michael Forever Tribute is not proper at this time for myriad of reasons. We hope we can resolve this matter amicably so that perhaps in the future when a Tribute is planned, you could be part of the production, with more care and diligence. Understand that we will not rest until this tribute is cancelled. We do NOT care who from the Jackson family is supporting it. We condemn the exploitation of Michael's children & his mother to legitimatize your tribute!!! We cordially invite you to announce the cancellation of Michael Forever Tribute.